Built in 1977, Rochor Center is among the few commercial and residential estates that have survived the turbulent business atmospheres for the longest period of time. Located just across Rochor Road, Rochor Center is linked to Fu Lu Shou through a bridge. Despite being one of the most iconic structures in Bugis area, Rochor Center has been marked for demolition towards the end of 2016 to create way for the North South Expressway. This is in line with Singapore’s rapid economic growth that will eventually see the demolition of old buildings to give way for new developments. 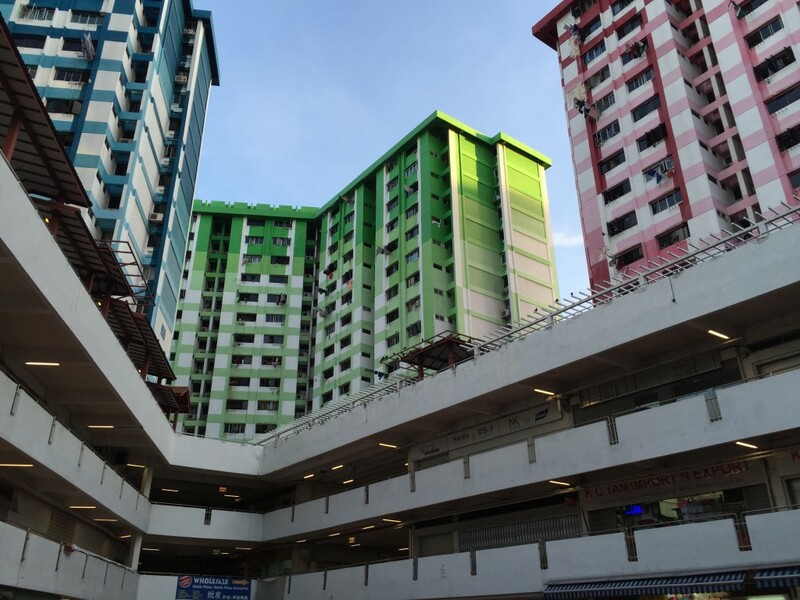 Rochor Center comprises four brightly colored HDB blocks that primarily accommodated 183 shopping units and 567 households. However, the developments that have been conducted on the property over the years have led to the closing of 106 shops. Besides, 36 housing units had also been vacated in early 2016, with many expected to follow suit. Painted in hues of red, blue and green, the four HDB buildings offer more than just residential space and comfort. The property also houses a number of retail businesses, including eateries, and offices for various organizations. Rochor Centre is one of the best places renowned for offering Chinese ceremonial goods and traditional confectionery. The center has been a common meeting place to many locals and also visitors. In fact, it houses some very old shops with unique architecture that you cannot find in many modern shops. Considering the prime location of the property, its unique architecture and better housing facilities that it has offered over the years, many people have not been impressed by the news that they will have to move out by the end of 2016. In fact, quite a number of people who have lived and done business at Rochor Center say it is quite sad to know they have to vacate the place they have called home for years. Rochor Center hold childhood memories of quite a number of people who say they have grown up in the area. Several tenants at Rochor Center have expressed fears that moving out of the property will be quite emotional, considering the relationships they have built with neighbors in the area over the years. Many businesses have also expressed concern that the demolition of the property is a great loss. Setting up businesses elsewhere and driving them to the level that they have been at Rochor Center will not be an easy task. Rochor Center is among the three historic public housing estates that will be brought down for re-development. The other two are HDB blocks in Siglap and Dakota Cresent, which were built in 1964 and 1958 respectively. According to the Housing Development Board, 91% of the people living in Rochor Center will be moved to HDB flats located in Kallang Trivista. As soon as the news about the demolition of Rochor Center broke out, the property has been slowly losing its bustle, with tenants starting to move out. However, even that will not completely erase the bright memories of this iconic building. Goodbye Rochor Center. You will be missed!